**This post contains affiliate links. Should you click on them and make a purchase, I will receive a small commission at no cost to you. Here I go again, starting a project NOT on my list of projects for the year! Somebody stop me! If something irks me long enough, though, I have to change it. And this was the case with our dining room table, although we just recently purchased it in November (insert embarrassed emoji), the dark color really bothered me. 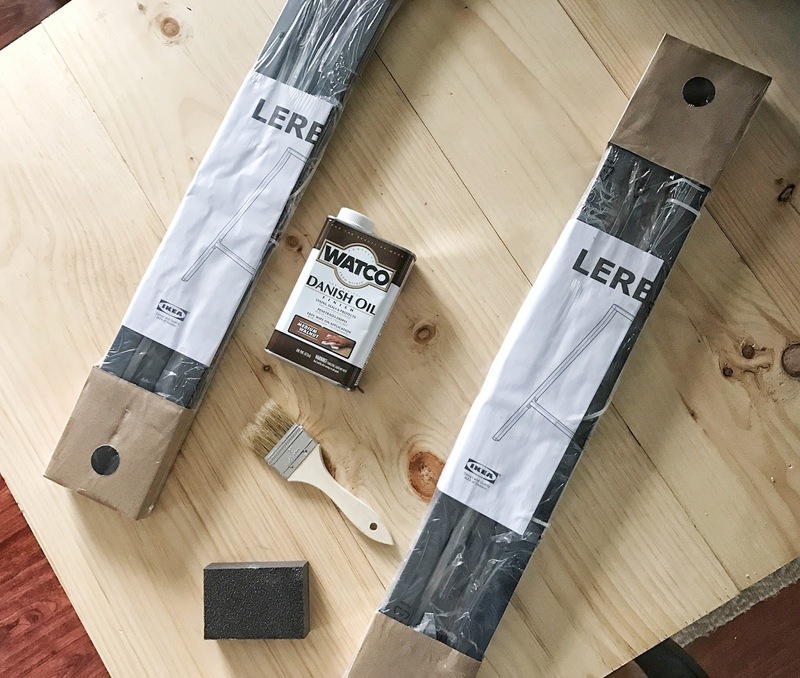 After a few months, I realized I wasn't a fan of the dark stain and the heaviness it brought to the space along with our dark floors. I didn't want to paint it because honestly it is a beautiful table and of great quality, considering the $200 price tag; so instead I decided to sell it. 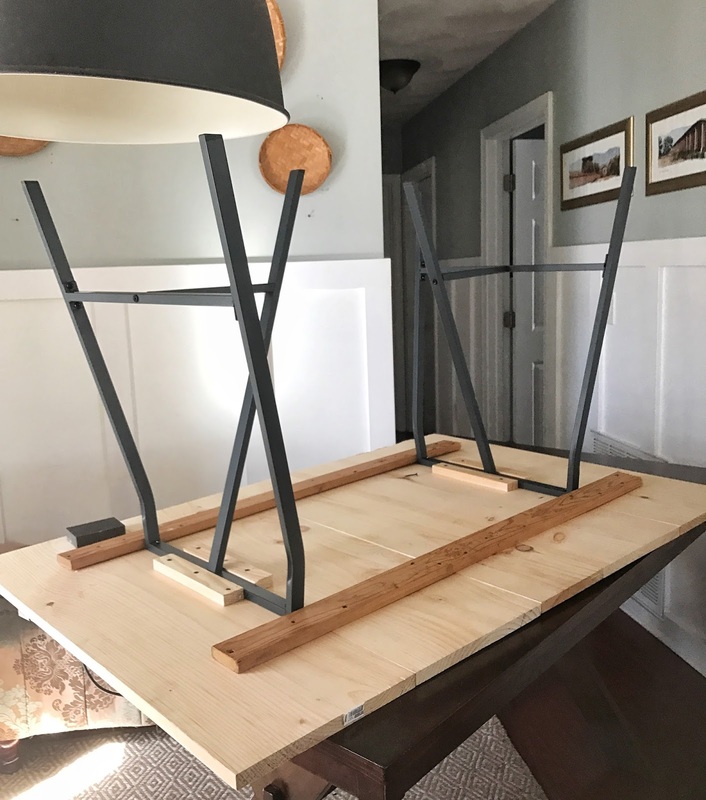 As an alternative, I decided to build my own table with ther Ikea Lerberg Trestle style legs. I first saw the idea from +Jenna Sue and fell in love. It is in the center of two walkways, one to our hallway and the other to our back door and basement, so the space is very limiting. What's more, we have a large family and need to have a table that seats all 6 of us comfortably. 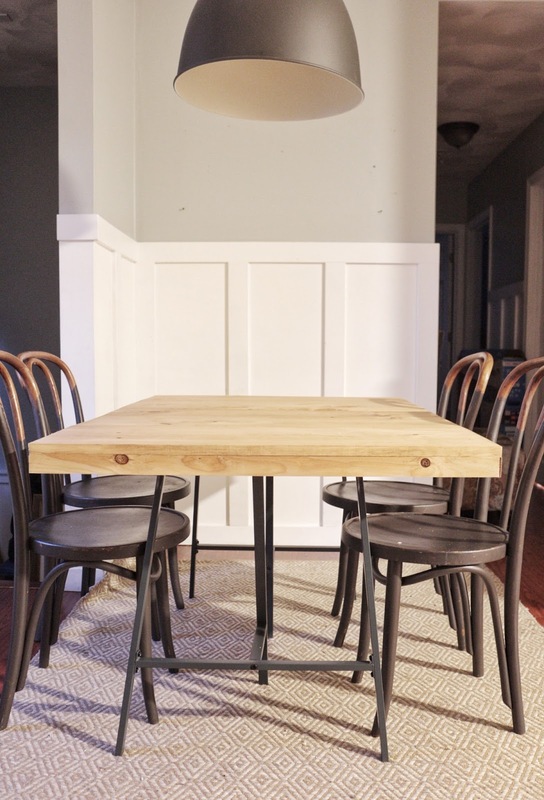 For the tabletop: I measured the "old" dining table and checked to see how much smaller I could go to still allow for a comfortable dining space and room to maneuver around the table. 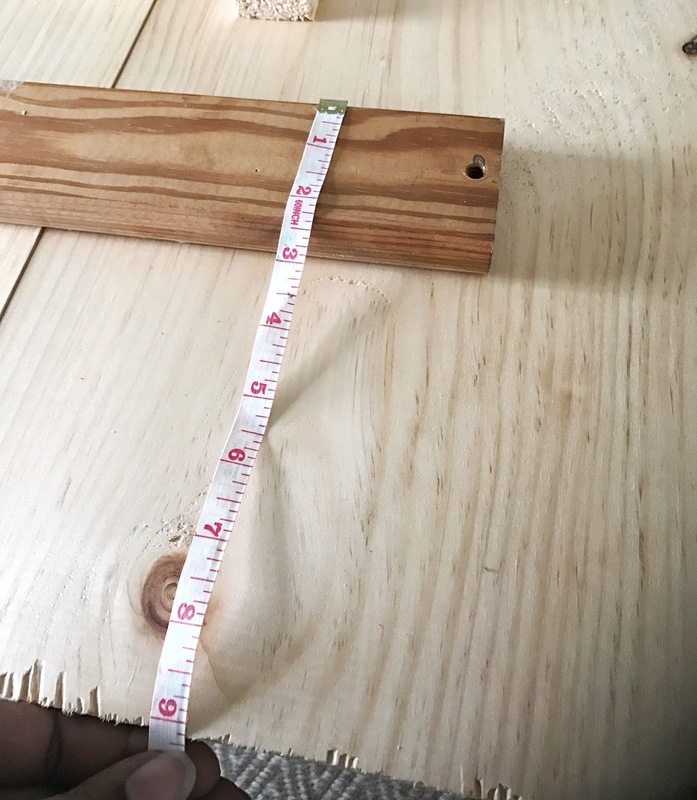 My original plan was to use 3-4 long 12 inch boards cut down to my desired length, however, when I got to Lowes I decided to create a more "modern-industrial" (as opposed to a farmhouse) appearance, using 1x12's placed horizontally. 4-1x12's, each cut to 35"
While picking up the the supplies at Lowes, I asked an associate to cut the wood boards for me so I could ensure that they were relatively even. Putting together the trestle legs was like putting together any Ikea piece--a real pain until you get the hang of it. The first one took me about a 20 minutes, the second took me less than five, go figure! Once I got home, I put together the two trestle legs and then sanded the tops of the boards down until smooth. I then lined the uncut ends of the boards up along the edge of our table as a makeshift T-square to ensure a nice 90 degree angle. I lined up 2-1x12's, the 1x8 and then 2 more 1x12's horizontally to equal 56 inches in length. Here you can see how roughly the boards were cut, be sure to place these parts on the underside of the table. 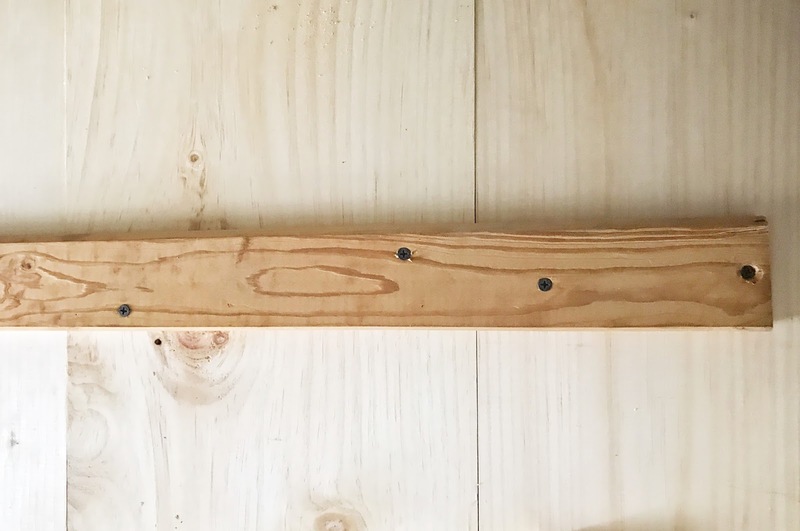 After I made sure the boards were all aligned properly, I laid the 1x4's (or in my case old wooden bed slats) approximately 9 inches in from the edge, allowing enough space for the 18 inch trestle to fit snugly between the two support boards. I pre-drilled, and screwed the 1x4's down to conjoin the boards. Next, I needed to create braces for the trestle to rest between. I cut 4-1x2's to approximately 10" to serve as braces for the trestle since they do not have screw holes to attach to the tabletop. I screwed them down and in my haste forgot to pre-drill, which causes split wood! At this point I thought I was done with the construction of the table until I flipped it over to try it out . 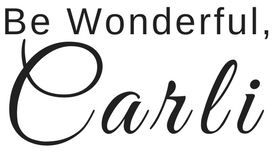 . . guess what? I didn't like it! It looked too scrawny; with not enough substance. I decided to grab some extra 1x2's from the basement (these I always have on hand) I mitered the ends and created an apron that rested along the underside of the table. This helped to give the table more of a finished look and also provided more visual weight. I measured and mitered the ends to at a 45 degree angle to basically create a frame for the underside of the table. A rough fitting: this corner will be filled with wood filler and sanded smooth. I pre-drilled 3 wholes evenly on each edge of the 1x2's, applied some beads of wood glue, and then put the 1x2's in place. The table, as is, is about an inch and a half shorter than the previous table. The Lerberg legs are not super sturdy as they are made from a very light weight metal. 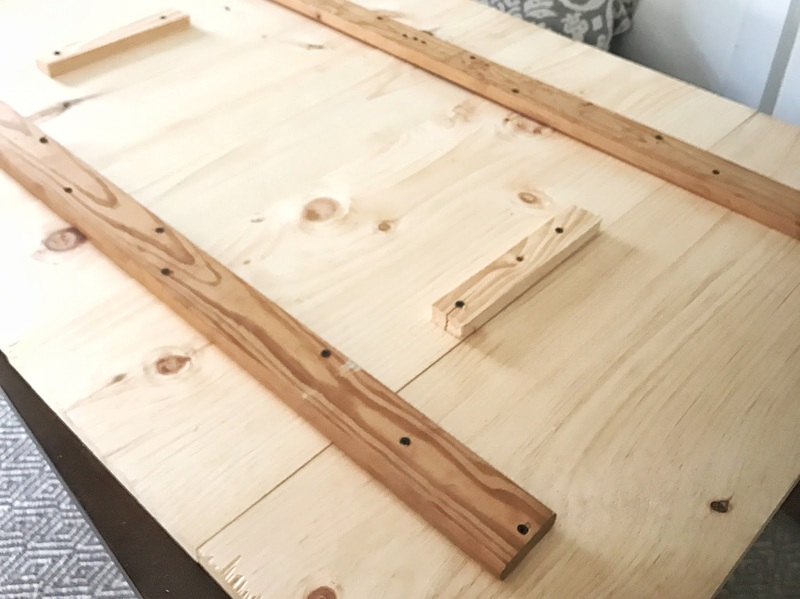 Because the trestles do not have holes to secure to the table top, it is a little wobbly when moved and the legs need to be properlyplanted on the floor. I will share my final verdict on these table legs in the weeks to come. Hi Leena! I hope this helps you guys! Ikea has several options for table legs so it may be a great option to look into. Can't wait to see what you come up with! That came out really nice. 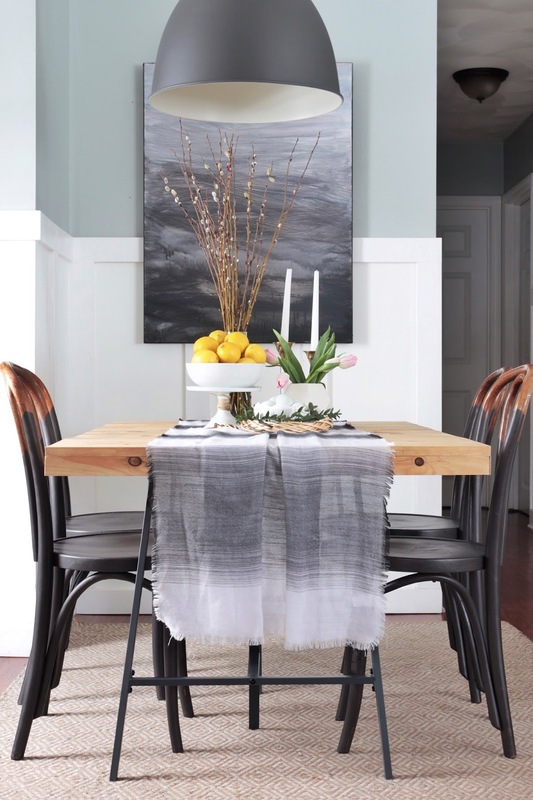 It looks great in your dining area. I can't wait to see what color you stain it.